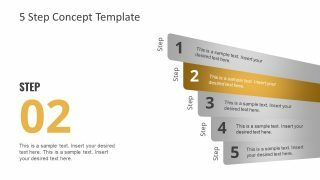 The Free 5 Step Concept for PowerPoint is an updated design layout of old-style bullet list format. 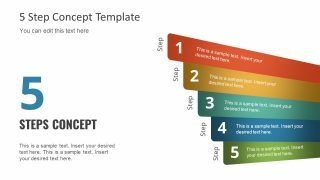 It is a free linear 5 step process PowerPoint template of colorful stages. These stages are highlighted one-by-one in next five slides. This template is ideal for displaying sequential steps to perform a task, process, or workflow. 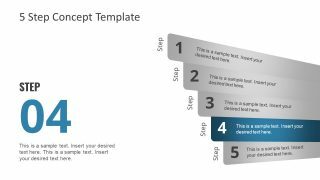 However, it can replace the regular timeline by changing the text fields of “step” to years. The tilted view of 5 segments also portray the headline format of breaking news on TV. Therefore, these slides of 5 step concept are perfect for displaying high priority topics. Such as, the implementation of major changes in the company, and the presentation which creates the atmosphere of urgency. The textual information and graphics headline banners together can boost the audience engagement. 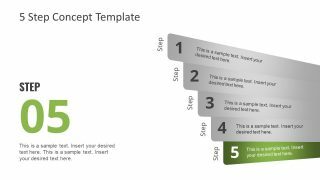 The Free 5 Step Concept for PowerPoint is also a banner design to highlight the features or business processes. 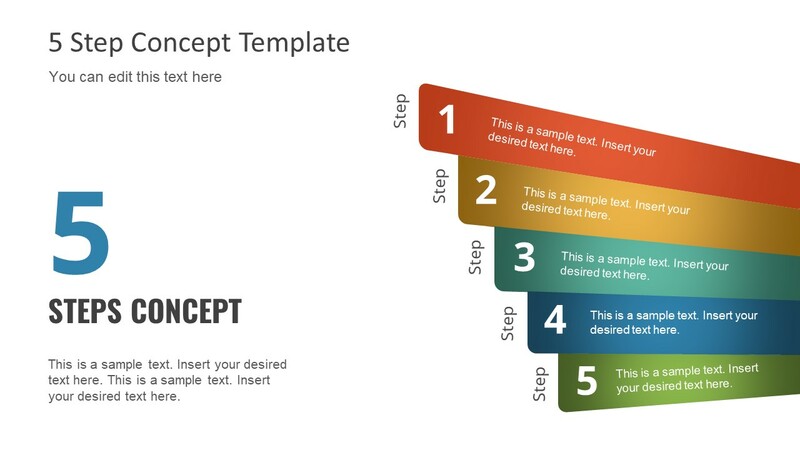 Alternatively, download banner and label PowerPoint templates like infographic banner template with ladder. The free slides of 5 step PowerPoint contain editable graphics with text and icon placeholders. The flat vector graphics assist the users to make number of changes without affecting the image quality. These modifications may include the change in size or style of PowerPoint shapes. 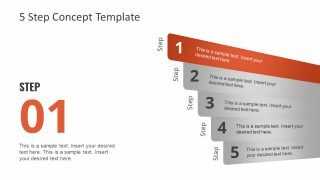 The free PowerPoint template of 5 step process diagram concept is a creative way to convey information. 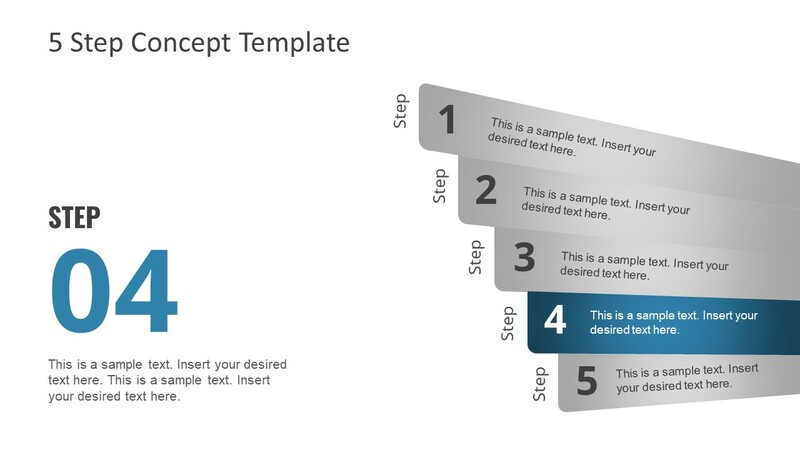 It is creative PowerPoint of linear flow for presentations which do not require fancy infographics and clipart icons. However, if necessary, the users can add clipart icons against each diagram to make it more visually appealing. 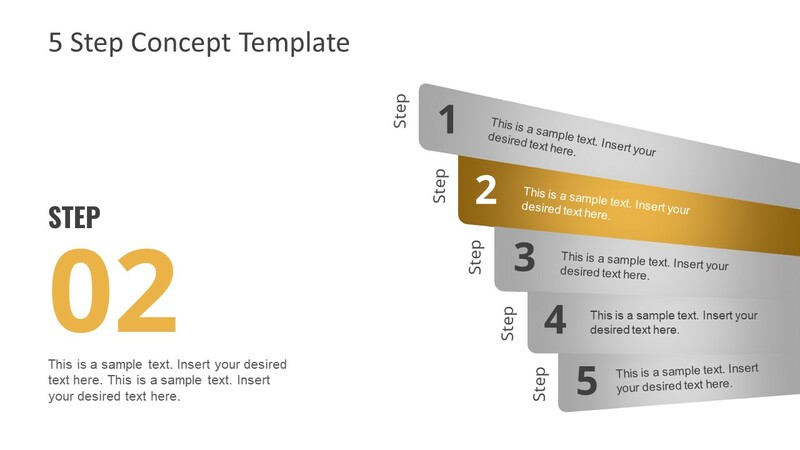 The PowerPoint application offers many options to add an element of design to a presentation. For instance, adding shape transitions on each stage of 5 step concept. 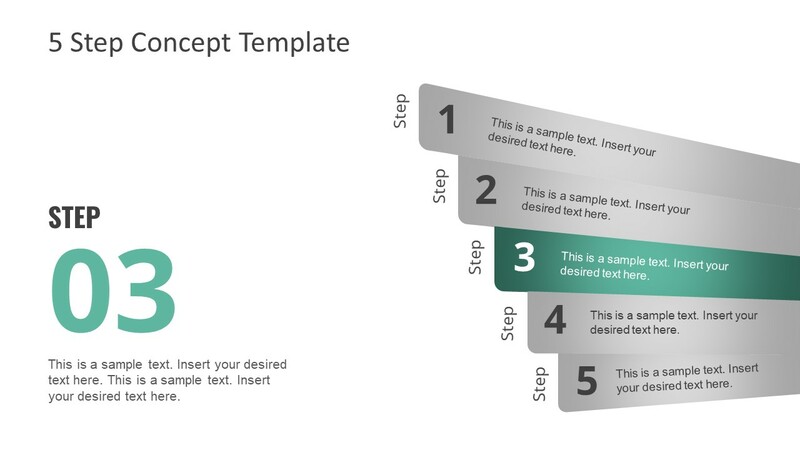 Or, applying different animations to the PowerPoint slides.